So you’ve created a Web site for yourself, maybe for your business now you need to get the search engines not just to find it but try to get it on the first page of the results. This is where you optimize your site so it can be found. This is called Search Engine Optimization or SEO. Google, Bing and the rest know what they are looking for and you have to tailor your site to what they want to see. They make the rules and you have to play by them or they won’t list your site. Here are a few key points to consider when you write for your Web site. Write content for your Web site, not just the homepage but every page. Make sure you use keyword phrasing (more on those in a couple of minutes) when you write your content. Update regularly. Remember the new adage for the 21st Century, Content is King. Have some proofread what you are writing and make sure that it is optimized using the following elements. Too many people neglect this one, especially when they are creating Web sites for businesses. A pressroom on a Web site is where you can post video/pictures of company outings, parties, awards employees have received. It’s a great place for you to give a human face to a company. This is a great way to reach out through social media. Now we are getting to the bones of SEO. Keywords are too general, to see for yourself, type “hotel” into google. Mind boggling results. To further narrow search results keyword phrasing is used. Type “hotels in Halifax” and you get more specifically what you want. As search engines got better they started to rely less on keywords and concentrate on other areas for Search Engine Optimization. There is an ongoing debate on how search engines rely on keywords, so split the difference and use specific keyword phrases that will help people and the search engines to find your site. Once you have your keyword phrasing done you want to make sure that you use your phrases no more than 1-3 per cent. Any more than that is considered keyword stuffing and will penalize your site. I recommend no more than 2 per cent, a nice split down the middle. You want your SEO to bring visitors, not being red flagged and potentially banned. This isn’t too hard to use. It’s just utilizing the heading tags <H1>, <H2>, etc when you code your site. Heading tags play two important roles. One, by placing the heading of an article within an <h1> tag, you can style them within your CSS. Number Two, search engines like, Google, love to see text within properly coded headings more than other text on your site. H1 tags are seen as more important than H2 tags, H2 tags are seen as more important than H3 tags, and so on and so forth. You don’t need to go any deeper than H3 or H4. By placing keywords within these tags search engines will be able to better analyze the content of your site and relay that information into higher search results. This is a fun one. This is where we really use a search engine’s spiders, which we know are computers that scour the internet collecting information about Web sites and indexing them so that they can be displayed in search results. Not all spiders are created the same, some are smarter than others, but even the most advanced ones will have trouble reading certain elements of Web sites. Most of the time spiders will not see images. Ideally you want to keep large amounts of important text out of images, but there is something you can do to help search engines read your images better. By specifying an alt tag, you can give it a description so that when a spider is looking through your site it will be able to tell what the image is about and index your web page based on that information. Search engine spiders won’t be able to physically see your pictures of your staff BBQ or your trip to Hawaii, but it will be able to tell what the picture portrays by reading the alt tag. Videos are becoming an increasingly more important part of search engine optimization so now you need to make your video titles, descriptions, and tags SEO-friendly. Titles for YouTube videos have a 100-character limit, and it is paramount to include your most important keyword phrase as close to the beginning of your video title as possible. It’s getting more and more important to add a video trigger keyword, a word that attracts attention in search engine results to your video. Some examples you can use are review, how to, about. Descriptions of the video are a critical component of video SEO because they are the main copy associated with the video and the largest portion of text that search engines can read when indexing videos. Use this space wisely and strategically craft the text for both SEO and viewers. Include your keyword phrases used to optimize your title so search engines will the relationship between the two. Video Tags are an additional form of keyword phrasing that you think people will use when searching for your videos. Unlike keyword phrasing that you include in your titles and descriptions, you can select additional keyword tags when uploading your video. Similar to a twitter post, tags can use up to 120 characters, so make sure you select tags that are the most relevant and that best represent your video and appear in your title or description. Tag your videos in the order of importance, and always include your primary keyword phrases first. 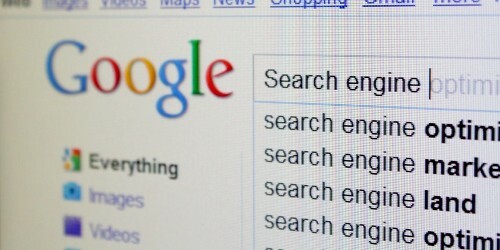 Search Engine Optimization isn’t difficult. Sit down with those who work with you or for you and brain storm through these tips to optimize your site. Just remember, this is not going to be an overnight success. It requires work and dedication to do it right. Don’t worry about making mistakes, you will learn as you go along and if you put in the work, higher search engine results will happen and who knows, you might get that coveted number one spot on the first page of a Google search.